When I was little, my absolute favourite days at home involved building a cubby. On rainy days, my Mum would give my brother and I full authority to use every blanket in the house. We’d carefully drape the blankets over furniture and other props, creating a labyrinth of tunnels and rooms. Naturally lunch would be taken deep inside our cave. On fine days, we’d do the same outside, with cardboard boxes, sheets and the washing line playing an instrumental role in our architectural plans. 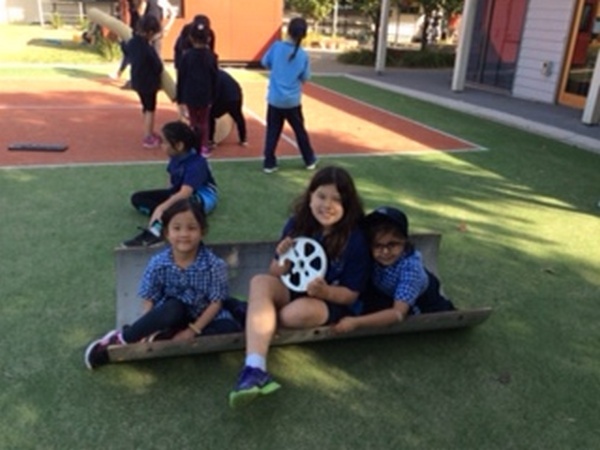 This term, Preps have been introduced to the ‘Kids Cave’. During Kids Cave, children use a range of recycled materials. Kids Cave provides an opportunity for creativity and exploration whilst fostering teamwork and problem solving skills. There were ships, cars, dinner parties and everything in between! A highlight was being able to share this time with their Buddies. The Preps can’t wait for their next adventures at Kids Cave! 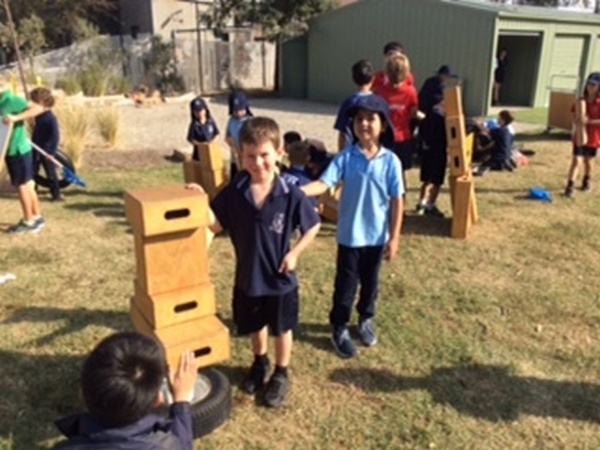 This entry was posted in Student Well-being, Students and tagged play, playground, Prep by Kate W. Bookmark the permalink.